The engine has been regularly serviced and runs well, however at some point it would benefit from removal and an overhaul. Sails would appear to be in good serviceable condition for their age, especially the cruising and racing mainsails and headsail. The hull on first inspection looked clean and well polished. Accommodation comprises double aft cabin, saloon with single berth to port which can convert to a double and a single to starboard. Fore cabin has 2 singles which, with an infill, converts to another double. Although in theory this boat can sleep seven, five would be a more sensible number. There is more than adequate amounts of storage throughout in all cabins. A bonus is that she has been recently re-upholstered throughout. Originally designed to meet the requirements of IOR 1/2 ton class design, this Jeanneau Sun Light 30 is a very sea kindly, well balanced sailing yacht. Headlining has been removed and requires replacing. Topsides, she will need to be re-rigged at some point though her running rigging has recently been replaced. On a positive note, she appears to be structural sound though of course we would recommend a full survey. She could be considered a project and is priced accordingly to reflect the work that is required. I believe it wouldn't take too much effort to bring this boat back up to decent spec., and could be an ideal first or second boat. If you are looking for a boat on a low budget and have the time to carry out the required work, this could be for you. Also included in the sale is a storage cradle. 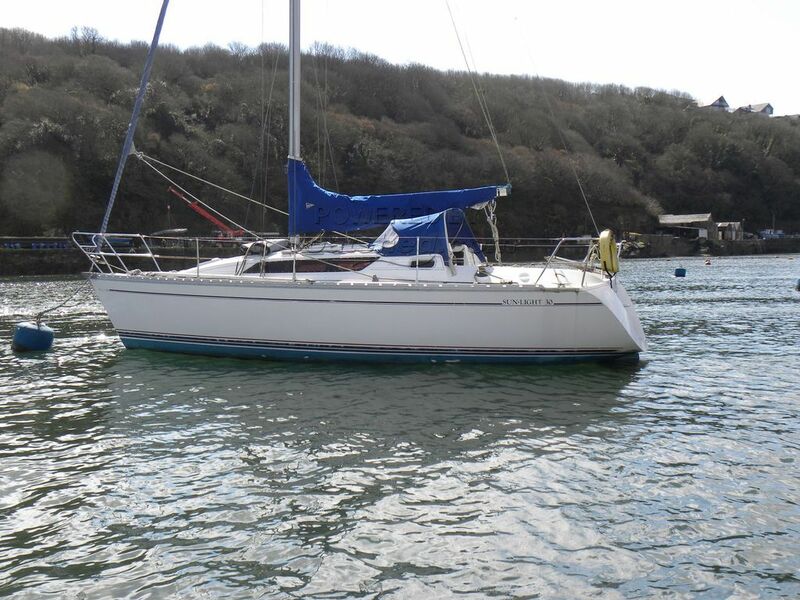 This Jeanneau Sunlight 30 has been personally photographed and viewed by Chris Fuller of Boatshed Falmouth. Click here for contact details. Please note this comments section is public. Please do not post your personal details here. To enquire about purchasing this boat, please contact the broker directly at chrisfuller@boatshedfalmouth.com. Please read our commenting guidelines before posting.